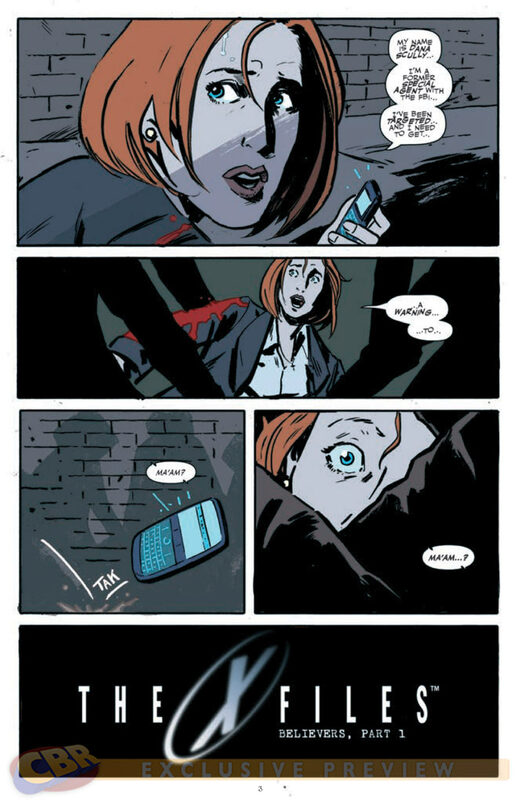 The X-Files returns with Season 10…in comic form! So I figured that I would start with my first comic review with a little nostalgia of what was a part of my youth, The X-Files! In what is a new trend in comic books over the past few years, the original creators come back and help produce a new “season” of a television show, but in comic form. We have already seen the continuation of past shows with Joss Whedon’s Buffy the Vampire Slayer seasons 8 & 9, Smallville Season 11, Charmed, Jericho Season 4, and now The X-Files. If you were like me in the early to mid 90’s and you loved Sci-Fi, then you were a big X-Files fan. I watched that show until the bitter…BITTER end! I even swallowed my sanity and forced myself to watch the god awful X-Files: I Want to Believe in 2008….I want to believe that the movie was a nightmare I would wake up from but unfortunately I never did. I did not expect this comic to happen but so far, I am happy it did. The X-Files had no where to really go but up after that movie, and it started off pretty strong. This book picks up after everything that happened in season 9, which ended on…gulp… May 19, 2002. Mulder and Scully are in hiding living under false names. We do find out what happened to their baby pretty fast, which makes it easy to move the story along without a baby in tow. Walter Skinner is back in action as well, which is good to see. The book starts with a cliche often seen in tv shows today, so why not in comic form. We open on Scully running away from hooded figures with blood running from her arm, she drops her phone while trying to call for help and then we get the logo and then “earlier that day”. I hate it when tv shows do that and I hate it when they do that in comics. STOP doing that nonsense and tell a story without an immediate hook please! I am already reading this book, I paid my money for it, tell me a good story! Ok I am done with that rant. 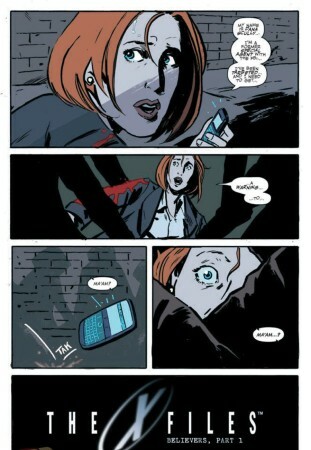 Overall the book is a good start to continuing the legacy that was the X-Files. It has a good hook, it has the characters we grew to love and it ends with a mystery. What good would the X-Files be without a good dose of mystery and intrigue. This book was published by third party up and coming IDW comics and written by Joe Harris (Image Comics’ The Great Pacific) and co-written by Mr. X-Files creator himself Chris Carter! You know he isn’t going to taint his baby, well then again they did make that second movie, but I want to believe damnit! The art is courtesy of Michael Walsh (Image Comics’ Comeback). Overall the art is weak in my opinion but the story is strong enough to pique my interest. If you can still find a first print of issue 1, then consider yourself lucky and buy it! It sold out of its print run of approximately 28,000 copies. Issue 2 will go like hotcakes to the fans. Here’s a little tip for you newbies to comic collecting, issue 2 is always under ordered. Issue 1 of a comic always sells well because it’s a #1, but stores do not know how well it will continue to sell so they cut orders on #2. The problem for comic stores is they have to order 2 months in advance usually and are ordering #3 by the time issue 1 hits the shelves. There, a little comic collecting 101. So in conclusion, The King says buy this book if you love the X-Files and buy this issue if you can find a first print. If you just want a good read then buy whatever print is on the shelves. Its a good start for a classic property and i hope it continues, and the best part about this book is the second movie never happened! Fight the Future!